In this video I will be reviewing and demoing the SoakShield! SoakShield is the only product of its kind on the market. A braided microfiber rope designed to be installed between the glass and deck of the front windshield to prevent water damage. In the video I mentioned that when we hit 500 likes the 2 giveaways will be picked. I spoke to SoakShield and if we get 1,000 likes we're going to do another 2 giveaways! That's a total of 4 giveaways so good luck to everyone!! How to purchase your own SoakShield: http://www.soakshield.com/ or https://www.facebook.com/soakshield/ **MAKE SURE TO MENTION: Patrick from Window Tinting Business sent you to get 10% off your purchase order!! Hope you enjoyed the video! Interested in one-on-one/group training or Consulting? feel free to email me and add what you're interest in under the subject: windowtintingbusiness@gmail.com FACEBOOK PAGE — Building a community to help each other and add a way for you to contact me! 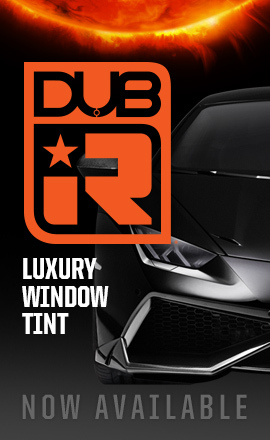 https://www.facebook.com/groups/883083348459331/ QUESTION — Have a question about Window Tinting, Starting a business, Marketing, or Anything Else? Post in comments section of this video! Music by: Good For You by THBD https://soundcloud.com/thbdsultan Creative Commons — Attribution 3.0 Unported— CC BY 3.0 http://creativecommons.org/licenses/b... Music provided by Audio Library https://youtu.be/-K_YSjqKgvQ We Are One By Vexento http://www.youtube.com/user/Vexento http://soundcloud.com/vexento Music Promoted by Audio Library http://youtu.be/Ssvu2yncgWU Subscribe to me on YouTube for more videos: https://www.youtube.com/c/windowtintingbusiness Support my channel by shopping on Amazon! https://goo.gl/JmEK7H ---------Equipment Used To Shoot This Video ------- Camera — iPhone 6 plus http://amzn.to/2hGUhBs Lens — n/a Tripod — Sunpak Ultra 6000pg http://amzn.to/2vgKaYG Tripod Stand — Grip Tight Mount XL for Large Smartphones http://amzn.to/2hHzopw Microphone — Rode VideoMic ME http://amzn.to/2vgJrXs Lighting — n/a Stabilization — DJI Osmo Mobile http://amzn.to/2vgGqXh Headphones used for Monitoring — Sony MDR-XB950BT http://amzn.to/2vBXUhu This VIDEO was EDITED with iMovie on an iPhone 6 plus DISCLAIMER: This video and description contains affiliate links, which means that if you click on one of the product links, I’ll receive a small commission. This helps support the channel and allows us to continue to make videos like this. Thank you for the support!